Earlier this week, I listened to a Ted Radio Hour podcast during my morning walk. The topic was the role of procrastination in creativity. Research suggests (and my own experience supports) that people who start a project, set it aside for a period, and then restart it, often come up with more creative solutions than those who run with the first idea that occurs to them. When I’m working on something that requires creativity, I find that I work better when I let something percolate in the back of my brain for a bit. 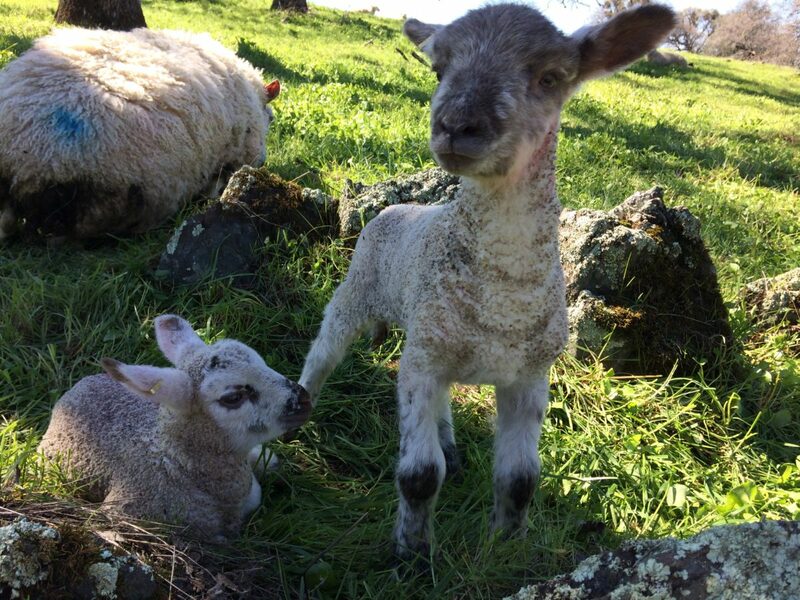 Caring for sheep during lambing season might not seem like a creative endeavor – dealing with lambing problems would seem to call for direct and timely action on the part of the shepherd. And yet I find that sometimes forcing myself to procrastinate is the best course. Let me explain. Once lambing begins, we check the ewes 3 times a day (in the early morning, at lunchtime, and again in the evening). When I arrive at the lambing pasture (we lamb on property about 7 miles from our home place), I first take a walk through the entire flock to see if we have any new lambs, and to look for any ewes that might be having a difficult delivery. Over time, I’ve learned to understand that what might seem like a problem delivery at first glance might resolve itself without my help if I just give the ewe a bit more time. 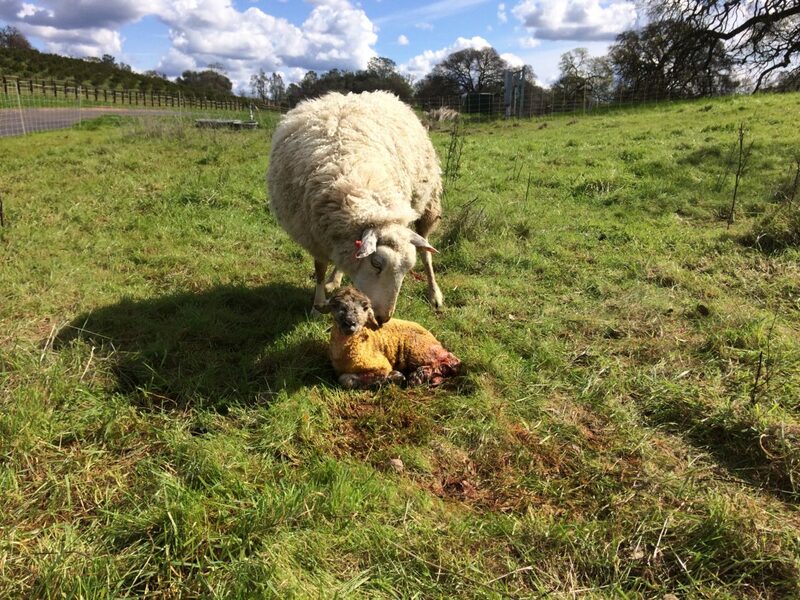 Intervention can sometimes disrupt the bonding process, which can make it necessary to raise the lamb on a bottle (rather than leaving it with its mother). On the other hand, allowing the ewe to deliver her lambs without assistance usually means she’ll bond with and raise her lambs on her own. During lambing, I become very focused on the details of my work. Lambs in our system need to get marked within 24 hours of birth (marking means that we eartag the lambs, dip their umbilical cords in iodine, and dock their tails to prevent flystrike). For someone like me with a Type A personality, slowing down and waiting is difficult. Consequently, I’ve developed a routine over the years to help me be patient. In many ways, I suppose, I force myself to procrastinate. Rather than jump in and help a ewe immediately, I’ll get the rest of my tasks done first – I’ll mark the new lambs, feed the guard dogs, and check the fence. Two times out of three (at least), by the time I come back to the ewe in question, she’s delivered her lambs. Obviously, there are exceptions to my rule. If I see a lamb being born back legs first, or with front feet but no head showing, I’ll help the ewe immediately. And this brings me back to the podcast. Creativity, according to a researcher from the Wharton School, is maximized when procrastination is balanced with action. Waiting to complete a project until the very last minute can be as detrimental as rushing through with our first idea. In my shepherding world, I think this means balancing patience and judgement – something that only comes with experience.